Joe Couri MD, or Dr. Joe as his patients called him, is a retired local rheumatologist and native Peorian. He has been in practice for thirty six years at Unity Point Methodist. He has been a long time volunteer for the Greater Illinois Chapter of the Arthritis Foundation, is past chair of the board and has served on the National Board of Trustees and the House of Delegates. He has served on the Peoria County Medical Society board and is Chairman of the editorial board of the Peoria Medicine Magazine. He has served on the board of Elders at Redeemer Lutheran Church and the Methodist Medical Center Hospital board as well as the Unity Point Methodist Foundation board. 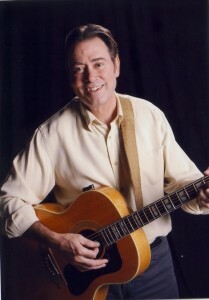 He started singing in grade school and began playing the guitar in college. While in training at the Cleveland Clinic he organized a band which produced a record with four original songs. As a songwriter, Joe has written and produced thirteen songs for local health and community organizations and has made three music videos. He performs at Brown Bag-It at the Peoria County Court House, the Peoria Riverfront market and numerous other local events. He also performs with the praise band at Redeemer Lutheran Church. He has appeared in many shows at Cornstock, Peoria Players, East Light Theater, and Haberdasher’s Dinner Playhouse. In 2004, he released a CD of original songs. 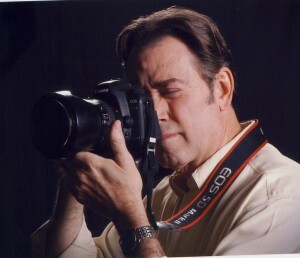 Joe is a self-taught photographer who has been taking pictures seriously since 1981. Initially his main interest was landscape, sunrise and sunset photos. For the last twenty years, he has concentrated on capturing images of familiar Peoria locations and landmarks. His images have appeared on nineteen postcards, five posters, multiple calendars, agency reports, local magazines and websites, as well as the cover of Jerry Klein’s book The Very Best of Old Peoria. His image of the Peoria skyline appears on the Peoria Public Library card. He displayed photos as part of The Illinois River Stories exhibit at the Peoria Art Guild in 2006, had an exclusive show of National Park photos at the Peoria Art Guild in 2007 and has had multiple other shows at other venues. His photos have won 13 ribbons at the Heart of Illinois Fair and awards at several other regional contests. In 2009, Methodist Medical Group presented Joe with the Dr. Tom Clark Award for excellence in patient care and community service. In 2011, the Methodist Medical Center Foundation presented Joe with the Dr. Ward Eastman Award for clinical excellence.